The Beatles were a band that drove a generation. They inspired their beliefs, style and expanded their minds. They came from humble beginnings, but became the greatest band of all time combining meaningful lyrics (most of the time) with an ever-changing musical style. Whatever The Beatles were doing is what everyone thought they should be doing. They began as young boys who made girls scream with their love songs and ended being the ultimate icon that inspired the beliefs and actions of a generation. I am a mere 22 years old and was not even born during the time of The Beatles, but their music was passed onto myself and my friends through our parents and we developed into true Beatle fans. The more a learned about them, heard them and saw them, the more they began to change for me. No longer were they a mythical great band, but a group of extraordinary musicians and visionaries. They have inspired countless people as well many of the bands of today. People may say Elvis is the king, but I feel that no other artist did more for the expanding possibilities of music and �Rock-n-Roll�s� influence than The Beatles. The Beatles began when one of the members, John Lennon formed a skiffle group in 1956 called the Quarry Men in Liverpool, England. They play various events and even auditioned for Television show, but lost out to a midget. In July of 1957 the Quarry Men were playing at St. Peter�s Parish Church, when another young lad by the name of Paul McCartney was introduced to John by a mutual friend. John was so impressed the Paul could play and knew all the lyrics to Eddie Cochran�s �20 Flight Rock� that he immediately asked him to join. Paul had a younger friend who also played guitar named George Harrison, eventually after filling in with the band every once in awhile he joined up with them in 1958. From here the band continued to play smaller gigs, including playing for George�s brother�s wedding. They went through a number of drummers that would eventually leave for one reason or another. They began playing at the �Casbah Club� in 1959 and were introduced to the owner�s son, Pete Best who was currently a drummer for another group. In 1960 John asked his best friend, Stuart Sutcliffe to join the band, which he did. Stu played bass guitar, but really never learned to play. He was more interested in his pursuits in the arts, but he thought it would be fun for the time being. Early in 1960 the band changed their name to The Moondogs and continue playing shows with a band consisting of John, Paul, George, Stu and Tommy Moore their drummer. Also they hired a manager name Allen Williams, who found them their drummer and began to try to find them work. Again they decided to change their name Stu suggested �The Beetles� like Buddy Holly�s Crickets, John thought it would look better spelled �The Beatles�. However, their manager Allen Williams didn�t like it and wanted them to change it to �Long John and the Silver Beetles�, John shortened it to just �The Silver Beetles� and so once again they had a name. Next �The Silver Beetles� begin a tour of Scotland with Johnny Gentle, a few of them assume stage names for the tour, like Paul �Ramone�, Carl Harrison and Stu deStael. After their tour, they came home and filled in on Monday�s at Allen Williams �Jacaranda Coffee Bar� in Liverpool. Tommy Moore their drummer decides to leave the band to return to his job, driving forklift. They audition Pete Best for their drummer and ask him to join them and become their permanent drummer. Williams books the group for a two-month assignment in Hamburg, Germany. Before they leave they make their final name change and become �The Beatles�. The group spends long nights playing first at the �Indra Club� from August of 1960 to October. They were playing set after set for hours at a time and were often using �uppers� just to keep them awake on the stage. They were living in very poor conditions and were struggling with the grueling schedule. Yet, they were able to gain some acclaim and began to develop a following, because of their energetic music. Their acclaim gained them a place at a more popular club, �The Kaiserkeller� where they played from October till November. During this time they met a drummer named Richard Starky, �Ringo Starr� his stage name, who was playing with a band called Rory Storm and the Hurricanes and became very good friend with him and he would occasionally play with the band. The band became more and more popular as time went by. 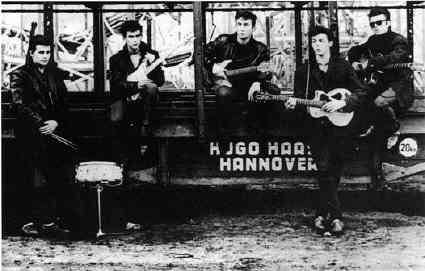 In December though The Beatles were forced to leave Hamburg due to a contract dispute, also George was found to be under age and was deported, Paul and Pete in protest to their living conditions tacked a condom to the wall of the club and lit it on fire and also were arrested and deported. Stu had decided to leave the band and stayed behind to pursue art and to live with his love Astrid Kirscher, who was the woman who took the now famous black and white photographs of the early Beatles. She and her friends are also said to have inspired the famous Beatle mop-top. Back in Liverpool in 1961, The Beatles begin to play at �The Cavern Club� a place for local bands to play. A local record shop owner Brian Epstein stops in to hear a luncheon show and shortly after offers to become their manager, which they quickly accept. In 1962, Epstein sets up an audition for them at Decca recordings, but they are rejected because according to Decca, �guitar groups are on the way out.� Shortly after this John receives the terrible news that his friend Stuart Sutcliffe died of an apparent brain hemorrhage at the age of 21, it is thought that it was a result of a beating he and John had endured back in Liverpool. On June 4th The Beatles sign with Parlophone Records a branch within EMI. On June 6th they began their first recording session at the EMI studios, later renamed Abbey Road Studios. Shortly after their first recording session, George Martin their producer feels they need a different drummer because Pete just isn�t all that good. Later in August Pete is fired from the group and replaced with Ringo Starr and they begin recording again. In 1964 they did what no other British group had done they burst onto the American scene with �I Want to Hold Your Hand� in the #1 spot on the American charts. They arrived to a gigantic gathering of screaming and crying teenagers just trying to get a glimpse of this group they had fallen in love with. They held a press conference and charmed the American press with their wit and the way they carried themselves, although they were a little confused about the hair. They later performed on the Ed Sullivan Show to the largest viewing audience in television history. They had done what no other foreign group had done, become stars in America. After some vacation time in Florida and a few other appearances, they returned to Britain larger stars than ever imagined. In 1965 they received MBE�s (Members of the Order of the British Empire) from the British Crown, which created a stir in Britain as the honor was usually reserved for war heroes and other distinguished Englishmen and several former receivers of the medal return it in protest. In July the release their second motion picture, �Help!� which is a crazy story in which a cult wants a ring that Ringo has for a sacrifice. It is a film done much in the fashion of British comedies and once again displays the classic Beatle charm and wit to the delight of fans. Once again, along with the film it�s soundtrack is released whose title track and album both reach #1. In August, The Beatles play a concert at Shea Stadium in New York that is attended by a world record for a rock concert 55, 600 fans. Near the end of �65 they released their 6th album, �Rubber Soul�, this album marked the transformation of their style and depth of meaning in their songs. It included new instruments and new influences on their music style such as Indian music especially present with the inclusion of the sitar. In 1966 The Beatles performed their last concert in Candlestick Park, San Francisco. They hadn�t announced it as their last concert, but afterwards, paraphrasing John, they felt like they were a freak show just on display to see and that no one was really listening to them anymore. They released their 7th album, �Revolver� to high praises from critics. Their song writing continued to improve and become more meaningful or deeper in it�s meaning. Their musical style continued to grow and expand too, interweaving different musical styles into their own to create a new sound. This is also the year that John�s comments taken out of context in an interview threatened the popularity of The Beatles. He was quoted as saying that The Beatles were bigger than Jesus. This quote was taken out of context of the interview many times and protests were held at their appearances, as well as public burnings of their records and other memorabilia. 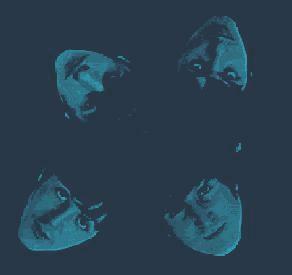 In 1967 The Beatles release their most influential and groundbreaking album, �Sgt. Pepper�s Lonely Hearts Club Band.� This album is thought to be by many the greatest album in history. It displayed the musical inventiveness of The Beatles as well as their lyrical genius. They also perform on a globally televised special representing Britain and sing the song they wrote just for the program, �All You Need is Love� for an estimated audience of 350 million. The Beatles meet Maharishi Mahesh Yogi at a lecture on transcendental meditation and begin to study and train with him. Shortly after this meeting, Brian Epstein is found dead of an apparent over dose of sleeping pills. It was believed by many to be a suicide as he was increasingly depressed over his lack of involvement with The Beatles as well as his struggle to keep his homosexuality a secret. Near the end of the year they released a TV movie on BBC called, �Magical Mystery Tour�, along with a soundtrack album. The film didn�t make any sense to fans and critics alike and both hated it. For the first time The Beatles had tasted defeat. The band came back together in 1969 and began shooting a film that was supposed to show them in the writing and recording process of their next album, �Let It Be.� Instead the tension within the group overflowed onto the camera and being constantly filmed began to be an annoyance only flaming the fires. The session and filming was stopped and they went to Apple Saville Row Studios to finish the album. The sessions finally ended in the famous �rooftop� concert. They went up on the roof of Apple and began playing, as the crowd grew the police eventually showed and ended the show, this was the last time The Beatles performed live together. They later got back together to make what was to be their final record, �Abbey Road� at the end of 1969 and released it shortly afterwards. �Let It Be� was actually released after �Abbey Road in 1970 due to the fact that there was a lot of production that had to be done on the unfinished album, by Phil Spector, their producer. John had not been with the group since November of �69, although the group worked with Spector to complete the album. The official break-up of The Beatles was not officially announced until Paul walked out of the sessions, April 10th, 1970. Many people now say The Beatles were just a trend, a group of talented good-looking guys who wowed the girls with their love songs. I feel that this group barely touched on their true potential, their later work bordered on musical genius in my opinion and the early songs were great too and showed flashes of their brilliance. This group inspired not only a generation and more of musicians, they inspired people to say what�s on their mind, speak truthfully, look inside oneself and most important always have a sense of humor about everything. 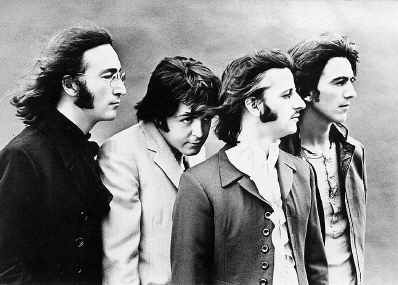 The Beatles are more than music; they are a group of individuals who alone or together shaped the world that we live in. Please Take a moment and sign my guestbook and let me know what you think of my page or share your thoughts on The Beatles. Go ahead a enter the chat room and talk with people about The Beatles or just meet up with a friend to talk. I you have your own Beatles site, join my webring "Life in the Land of Submarines". Just click on the web ring graphic that follows. Want to Join the Life in the Land of Submarines? Want to join the Here, There, and Everywhere Ring? This Fab Four Forever Ring site owned by cicero2_2@hotmail.com. This Fab Four Ring Site is owned by Bryan Christianson. Click here for info on how to join The Fab Four Ring. This Beatles Lovers Webring Site is owned by Bryan Christianson. This The Merseyside Web Ring site owned by Bryan Christianson. Want to join the The Moptop Webring? This Flaming Pie Webring Site is owned by Bryan Christianson. Click here for info on how to join The Flaming Pie Webring. Want to join the Breakfast At Anne's Ring? This Abbey Road Beatles Ring site owned by Bryan Christianson.